Here at Jetpets we are big fans of bringing our pets to work, in fact we encourage our staff to bring their furry friends into the office each week. 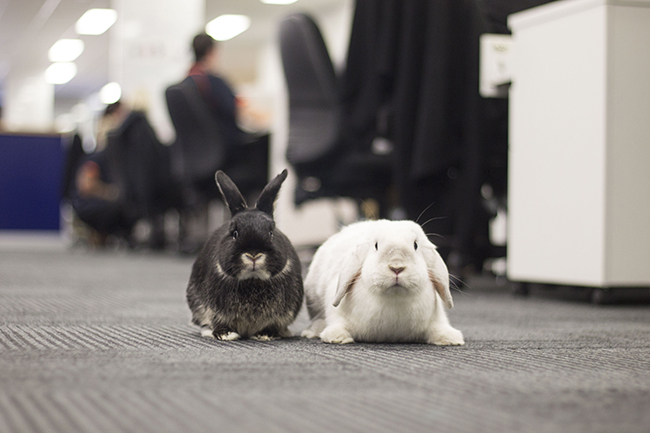 And this isn’t limited to dogs, it’s not uncommon to see all creatures great and small in the Jetpets office, including rabbits! Check out some of our recent rabbit visitors below. For most of us, when considering adding a pet to the family we think of dogs and cats. 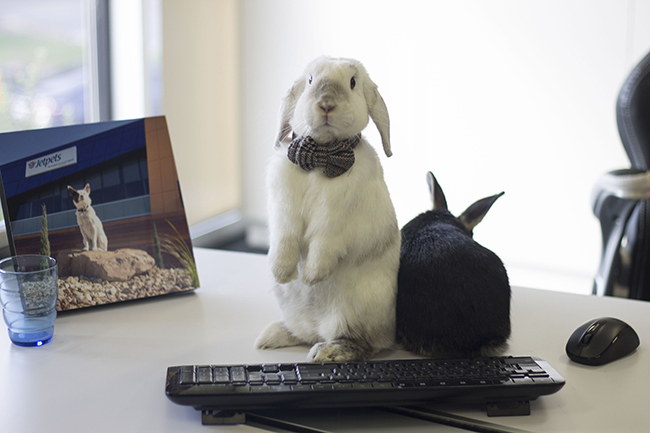 However, we want to spread the message that rabbits can make great family pets too! In partnership with our friends at PetRescue, we’re spreading this message and encouraging Australians to consider adopting a rabbit as a family pet. To find out more about what’s involved when it comes to responsible rabbit ownership, please contact your local vet or rabbit association. Interested in adopting or fostering a rabbit? 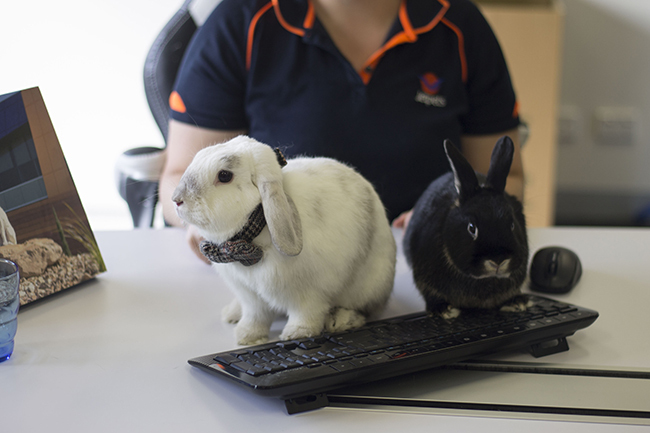 There are over 170 rabbits available for adoption via PetRescue right now. Visit their website to find out more.